Miasma Caves is a unique take on the underground exploration shtick that I have yet to see, in that it’s (almost) entirely pacifist. I just wish that someone told the slimes that it’s a pacifist game because they keep stealing my loot! The hours that I have clocked on this game can be summarized quite easily with ‘Wandering in the dark, lost, trying not to have all my stuff stolen’ without all that much embellishment. 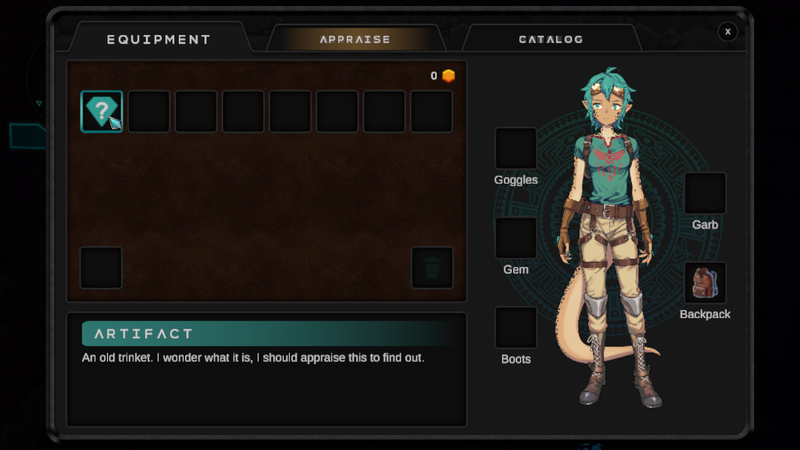 You begin the game as an enigmatic lizard girl of some description (although official sources suggest she is dragonkin and not lizardkin, I just don’t see it) and your job is to explore the caves, delving ever-deeper for ever-greater adventures and ever-phatter loot. Not very much is provided about who you are, but not in a dark and brooding way with mysteries and plot twists, as much as just not being the primary focus of the game. This game is both dark and twisted, as without your torches purchased in town, you’ll be cranking the brightness on your display all the way to max, and without a good innate sense of direction (which I lack in spectacular fashion) you’ll find yourself getting lost if you stray off the beaten path too far. Much like Minecraft’s tunnels, which I could wander around in for hours and not find the way I came, Miasma Caves starts out quite linearly, but as soon as forks start to become introduced, I found myself accidentally revisiting previously covered ground more frequently than I care to admit to myself or to you. The gist of it is that you go into these caves, mine with your pickaxe (or scratch through dirt with your talons in an act that I would only describe as aimless flailing of your hands in front of your PoV face), explore the caves and ruins, find treasures of varying degrees of usefulness, and lug them all back up to the surface to help your town regain some degree of prior prosperity that appears to have been lost at some point along the way. As this game is in Early Access, even with non-existent navigation skills, I was able to reach the lowest part of the cave network that this game has to offer. 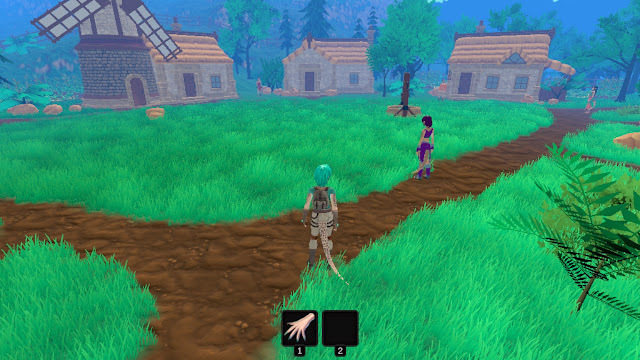 The Developers have posted a roadmap for their Early Access, the first phase of which is to add an additional depth layer to the game, permitting yet deeper forays into the ruins of the past. I might have clicked through this part of the explanation, but I’m having a hard time understanding why artifacts have been left this far underground in the first place. The gemstones that you find (and get appraised) make sense, as they’re naturally forming things, but some of the tools you find were obviously man (dragonman?) made and would’ve had to have been carried that far down, unless the old ruins were literally sucked into the ground over time. At some point during the Beta access that I was given, music was added to the town, which both adds a layer of appreciation for the game (as it isn’t just dead silence) but also detracts a touch from what I had thought was an intentional void of audio to further expound on it being a dead village by making it eerily quiet. This is a first person exploration game with controller support. They don’t really advertise controller support, but it’s there. Blessedly. What isn’t there, though, is a way to manipulate your inventory with the controller. Need to equip that torch to be able to see? Go find where you left your mouse. They don’t ever provide a controller button layout/mapping guide, nor do they mention it anywhere on the Steam page for the game, so I can’t really be too sore about the oversight, but it’s the kind of thing that takes a happy surprise and throws it in the mud, all in one go. You’re no worse off than if you hadn’t found the happy surprise in the first place, but it does cheapen the endorphin thrill just a touch. 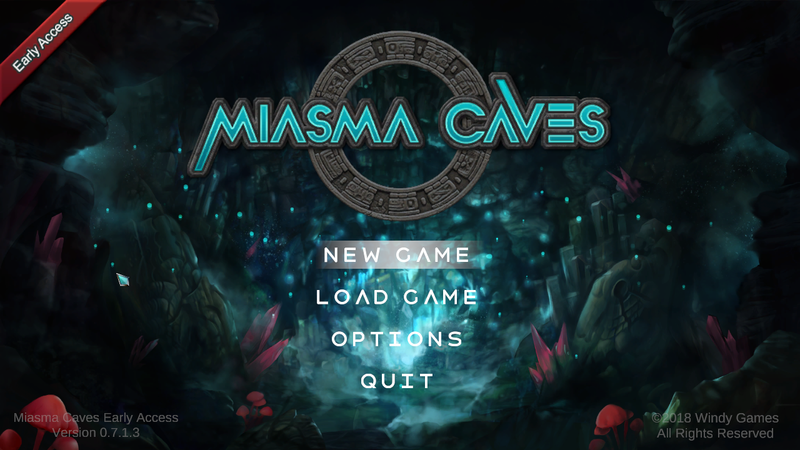 Miasma Caves is a great game if you like to explore, hoard loot, progress to greater and greater things, and see progress back in town for all of your hard work. The hit detection on the slimes is a bit janky (or maybe it’s my own capacity to scratch those jelly-themed enemies that’s broken), and what I wouldn’t give for a weapon to permanently end most of the creatures within the caves, but by going light on the combat and conflict, they were able to focus on the core aspects of the game without always feeling like you need to creep around worrying about skeletons, cave spiders, or ‘generic trash monster #42’ jumping out at you from in the darkness. Still in Early Access, I don’t doubt that when it’s a more complete product. For now? There is still room to grow.